By HappyGoDoodle | November 29, 2017 | 17 Comments | Adventures, Celebrations, Where Can I Bring My Dog Today? 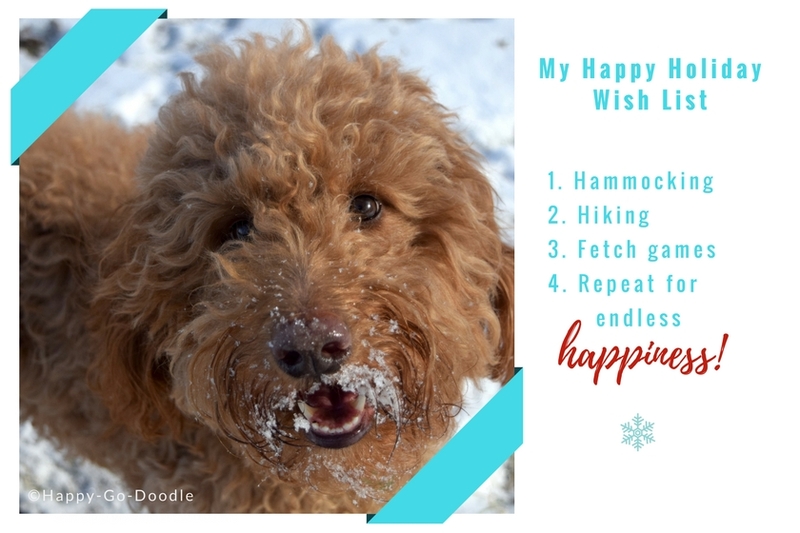 Need outdoorsy gift ideas for dog owners and dogs? Do you have a furry friend who’d give a “WOOF WOOF!” of agreement? 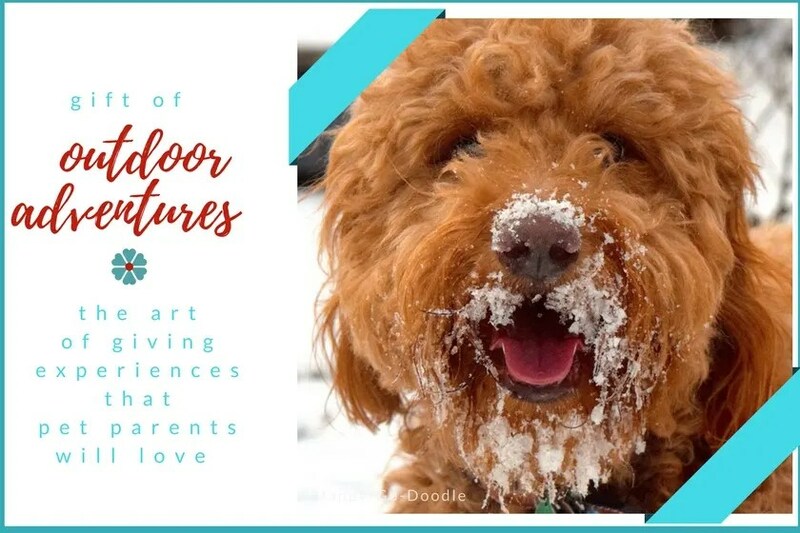 Then this curated collection of gift ideas for dog owners (inspired by a ball-lovin’, fresh-air sniffin’, happy-to-go-anywhere goldendoodle) may be the solution for you! 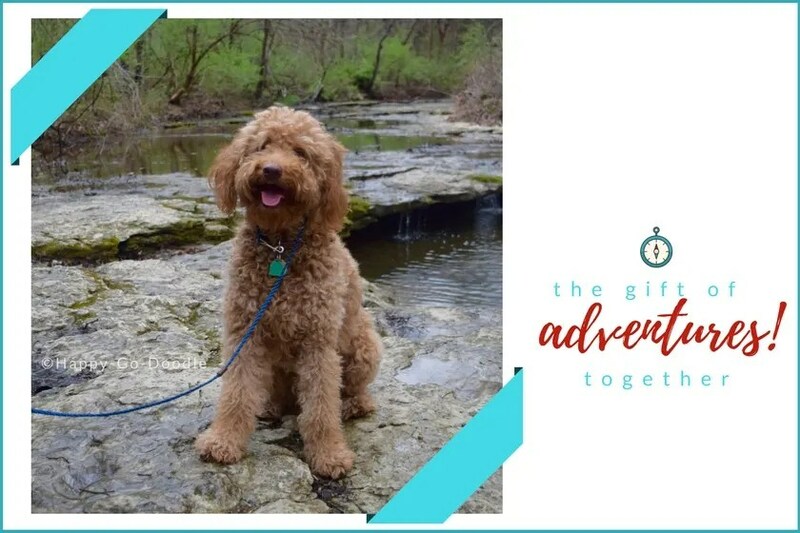 We hope these outdoor-themed gift collections will help you create a gift-giving experience that’s just right for the pet and pal team who loves walking, hiking, hammocking, or just being outdoors. We’ve chosen products from Amazon as examples of how to create a themed or bundled gift that’s also an experience. Some are products that we use and love…some are products that are just darn cute! We hope it all inspires you! Also, each gift idea collection includes a FREE downloadable for/from gift tag that we designed and created for you to use! It’s our little way of sharing some holiday happiness with you ! So slip on your Santa hat, sit down with your dog, and let’s get started! This post contains Amazon affiliate links, which means if you make a purchase when clicking a link I will make a small commission, but it won’t cost you even a cent more. 1. Hammocking, happiness, and your hound! because it looks great in pics and against a bright-blue sky. and haven’t regretted it. They’re easy to use, and we love the neon/black straps as an accent to the teal hammock. Water Bottles: We never go anywhere without a least one water bottle, so including this Dog Water Bottle and Travel Bowl as part of this gift collection made good sense. was a gift I received for Christmas from a family member who knew my love for tender-hearted, wholesome stories about dogs and their owners. Giving the gift of a book is not only an experience in itself, it’s a lasting reminder of the gift giver. 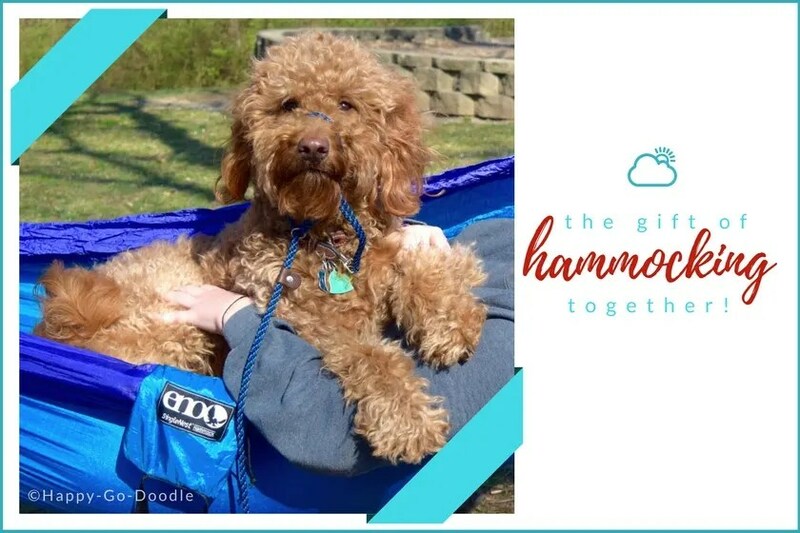 To round out the pets-and-pals hammocking theme, add a treat for the dog and a snack for the dog lover! As our holiday gift to you, please download this free for/from gift tag. It’s a fun way to accent the gift, and it’s our way of sharing holiday happiness with you. How can you turn someone’s love for long walks into a gift? 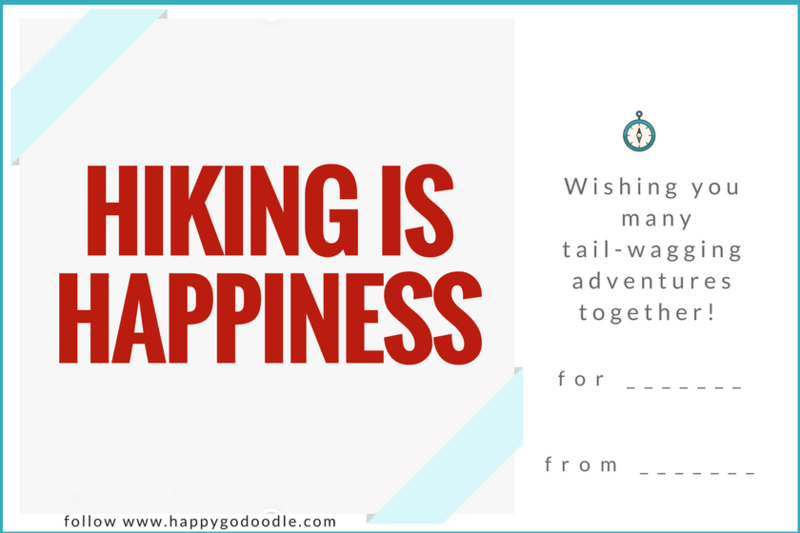 Whether it’s hiking, walking, our just getting outside and enjoying nature, this gift collection might inspire you to create a “hiking is happiness” gift solution. is Chloe’s cue that good times are ahead! Plus, it makes for cute photo ops along the hiking trail!
. That way we can bring one water bottle and share. with a meaningful message adds to the fun, and looks great in photos too! As our holiday gift to you, please download this free for/from gift tag. It’s a fun accent to the gift, and it’s our way of sharing holiday happiness with you. Does the phrase “ball is life” describe your dog? Fetch games are kiddoodle Chloe’s all-time favorite activity. We can’t keep enough balls in the air! 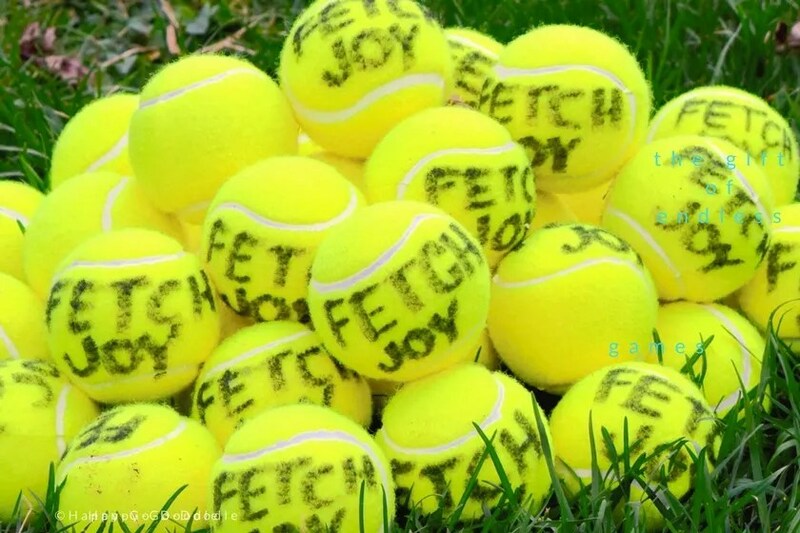 For the ball-loving dog, the gift of endless fetch is a dream come true! Here are gift ideas for dog owners and dogs who’s best day ever is one spent hanging out together. names of family members who are part of the pack! Don’t forget to include dog treats! For Chloe, dropping the ball at my feet is much easier when she’s motivated with a favorite treat. I like a low calorie option such as Natural Balance Mini Rewards Dog Treats – especially since she’s a pro at marathon games of fetch. 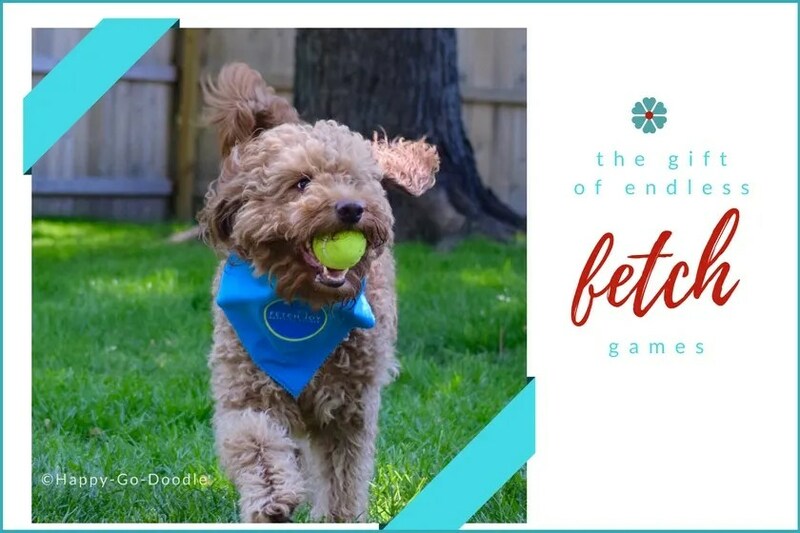 Place the tennis balls and packages of dog treats into a cute toy basket, add our free printable gift tag, and this “pet and pal” experience is a ready-to-go gift! As our holiday gift to you, please download this free printable for/from gift tag. It’s a fun way to bring the theme together, and it’s our way of sharing holiday happiness with you. Chloe and I hope we’ve inspired you with a few unique gift ideas for pets and the people who love them. Most importantly, we hope that we’ve added a little extra smile and happiness your day. Throughout the holidays and every day, remember to take a break and enjoy the love of your furry friend! Do you enjoy the outdoors with you dog? We’d love to hear! Please comment below! These are great ideas! I love how you bundled things together to create experiences. The printables are a really nice touch as well. Thanks for sharing! I absolutely love this gift guide. It’s right up our alley! I love taking long walks with my dogs and our lab is tennis ball obsessed! And thanks for the cute gift tags. I love your gift experiences Chloe, and the individual tags for each one.I don’t know any dog or owner that wouldn’t enjoy your gift suggestions. Mr. N’s favorite would be the hiking bundle. That shirt is adorable. He doesn’t usually wear bandannas on the trail but he’s bundled up in something usually! I love it that her wishes are all about experiences and having fun with her people. That’s the way to go because those memories will last a lifetime! Well said,Kamira. Thanks for stopping by! Love these themed gift ideas! Bernie and Lizzie would love the hiking bundle. Plus I’m kind of digging the bandana idea. Right now, when I pull out the harnesses, they know we’re going to the dog park or some fun event that involves the car. I could probably quickly condition them to associate the bandanas with hiking. These are great ideas for the dog who loves the outdoors and hiking. I don’t think I could do the “great outdoors” at my age because I have grown accustomed to the creature comforts of indoors. Gusto loves to play fetch! He loves treats too. Sometimes he munches on the balls when he gets tired and wants to take a break. He’s silly. Your gift tags are a very thoughtful gesture. Thanks! Happy-Go-Doodle Chloe is a ball muncher too! Tail wags and take care! 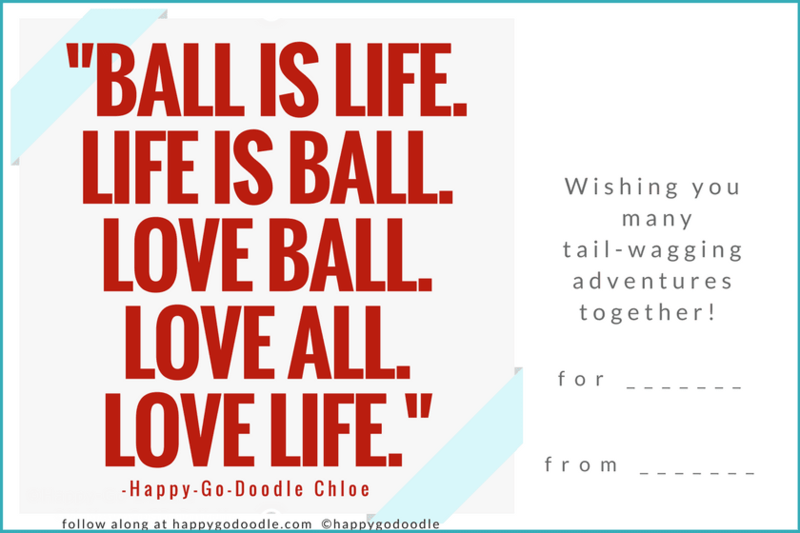 Your posts are always so inspiring & fun Chloe Doodle doggie & Miss Jenise! We love them. Bessie the Basset Hound thinks your one top doggie & she sure wishes she could go on adventures with the two of you! Mew Mews & Woof Woofs from us! Awwww…thanks, Valentine! You, Bessie, and I could have some fun adventures together, for sure! Tail wags and take care! and I really love that many of them will mean extra playtime with the pawents!! Hello, Morrie! Happy to hear that you enjoyed the gift ideas! Hope you had lots of bonding time with your humans over the holidays! Thanks for stopping by!